Jakarta - Wednesday, October 2, 2016, Toyota Motor Manufacturing Indonesia participated in the Jakarta International Logistics Summit and Expo 2016 (JILSE). 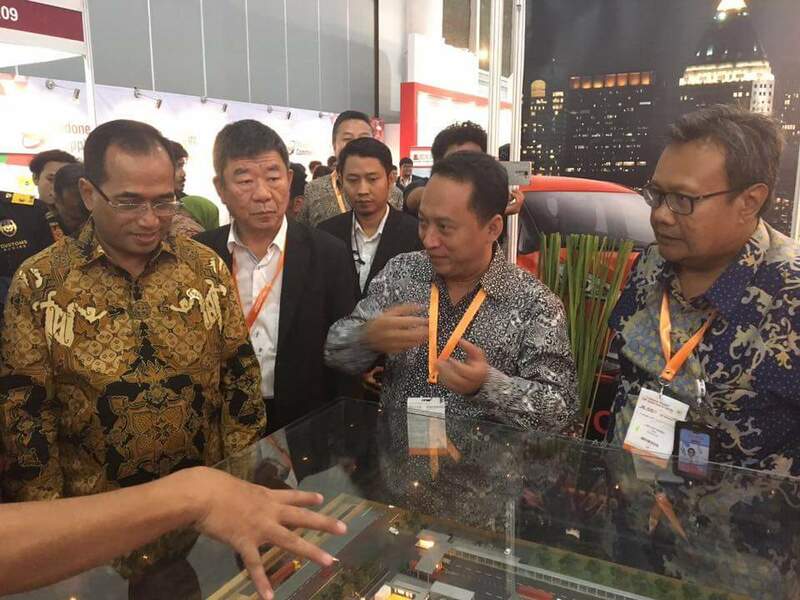 The event was held by the Directorate General of Customs and Excise, Ministry of Finance of the Republic of Indonesia and it was held at the Jakarta International Expo, Kemayoran. JILSE is an event series from Indonesia, Transport, Supply Chain and Logistics (ITSCL) in 2016, which lasted for three days, from 19 to 21 October, 2016. JILSE 2016 is one of the occassion to sharing views, discuss, and formulate solutions in order to increase the competitiveness of the national logistics. The event featured an expo that brings foreign suppliers with the importers in the country and businessmen from Bonded Logistics Center (PLB) so that is expected to occur the business deal to move the landfill for industrial raw material of Asia Pacific from abroad to Indonesia. PLB has been proven to create more efficient logistics costs because of the reduced cost of landfilling by 25 percent. PLB allows imported goods to be stored up to three years for later distribution, while exempt from import duties and taxes related to imports during that period. With this concept, the company can cut the cost of logistics. PLB is under the law of Government Regulation No. 85 Year 2015 on the Amendment of Government Regulation No. 32 Year 2019 About Bonded Hoarding and the Minister of Finance Regulation No. 272 / PMK.04 / 2015 on Logistics Center Bonded. This event invites around 1,500 businesses that are expected to share their experiences and network and also provide inputs to the government. The facility of PLB get appreciation and positive response from businesses. TMMIN is one of the 11 Companies in the first phase of the receiving PLB, signed by President Joko Widodo on March 10, 2016, until now there have been 28 PLB Company that spread throughout Indonesia.